We understand the power of help. It’s why we go above and beyond to do what’s right for you. After an accident left Dr. Feranmi Okanlami paralyzed, we didn’t just help his recovery, we introduced him to a vocational rehab program that allowed him to continue his education. He vowed to never let his disability define him. Our team vowed to help him every step of the way. If you’re looking to protect a business or its employees, see how Guardian group coverage can help. When you love something enough to protect it, you become a part of something bigger. You become a Guardian. For over 150 years, we’ve helped millions plan, secure and look after their families, communities, businesses and futures. How can we help you? Needs change in our ever-changing world. It’s the reason our team is always looking to find a better way to serve you. We believe it’s part of our job to lead with purpose, which is why we created our Women’s Leadership Network and the Step Up program to help people like Elisha Shepard get the support and skills necessary to empower themselves and their loved ones. Life’s unexpected surprises should be met with the support, guidance and understanding of someone who truly cares. As Hurricanes Harvey and Irma struck the Gulf of Mexico, our employees protected their communities and one another, helping rescue, shelter and rebuild the lives of those in need. Insurance and other financial products and/or services underwritten or issued by either The Guardian Life Insurance Company of America, New York, NY or one of its subsidiaries or affiliates. Availability, coverage, and provisions vary by state and product. Guardian® is a registered trademark of The Guardian Life Insurance Company of America. 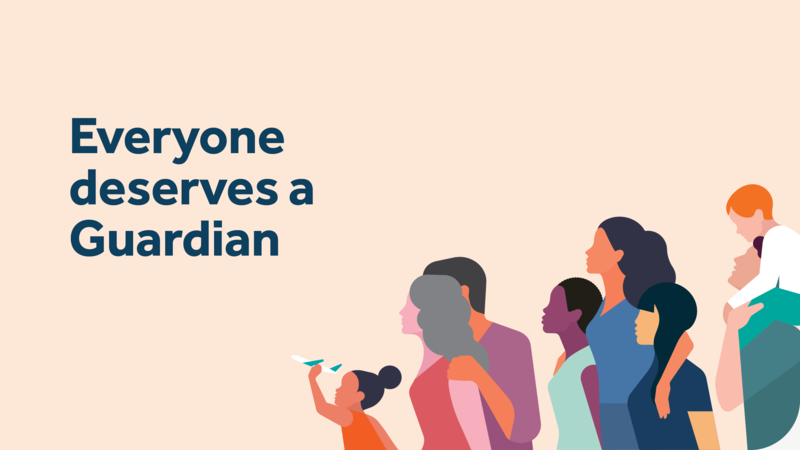 Explore all the different ways Guardian can protect your family, finances and retirement. Shop online to find the right Guardian insurance options for you and your family.